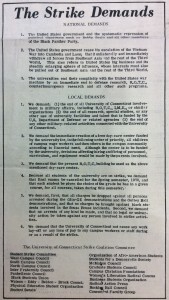 Students for a Democratic Society (SDS), many other student organizations and sympathetic faculty declare a general strike to follow the Metanoia. 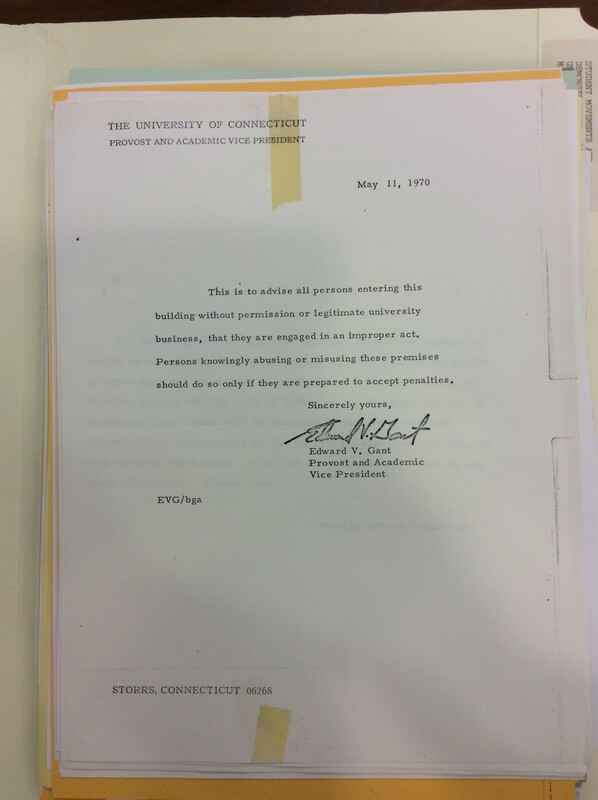 Connecticut Daily Campus, Wednesday May 6th 1970. Many students across the country responded yesterday to the deaths of four students at Ohio’s Kent State University. There were marches, strikes, sit-ins and, in some cases, rocks and fire bombs. The student reaction was also sparked by the U.S. drive into Cambodia. And, for the most part, the demonstrations were peaceful. But many campuses were tense as the protests spread. In Connecticut, student strikes, marches and other demonstrations were the order of business on most campuses yesterday. At Yale a group of students objecting to ROTC training at the university ROTC building and tore down an american flag. At UConn’s Avery Point Branch in Groton, students planned to strike yesterday and today, protesting deaths of four students at Kent State University in Ohio. 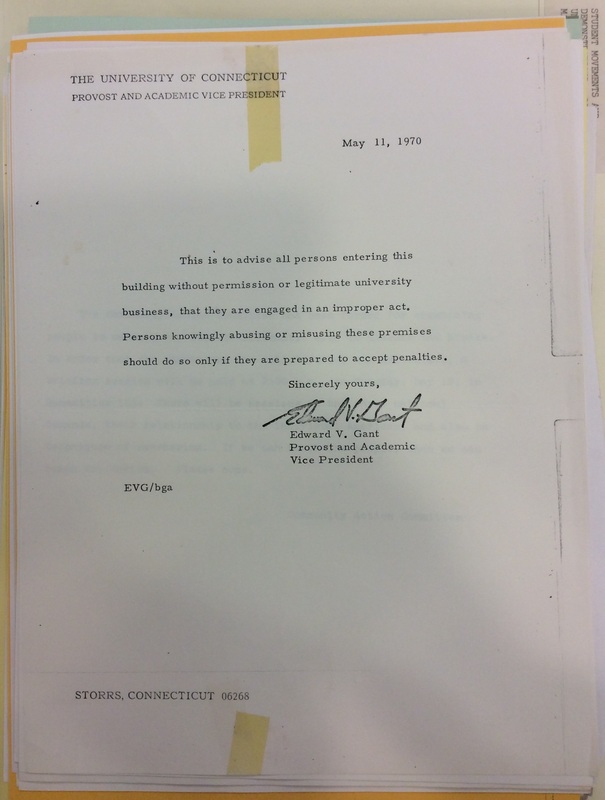 In West Hartford, UConn’s School of Social Studies was closed after a vote of students yesterday. A few hundred students then began a two-mile march to the State Capitol in Hartford. They urged Trinity and University of Hartford students to join them there. Student solidarity at Connecticut College in New London and St. Joseph’s College in Hartford has closed most classes. A student strike spokesman at Wesleyan University in Middletown says a majority of the students participated in a strike vote yesterday. The spokesman says 20 Wesleyan faculty members have canceled classes. 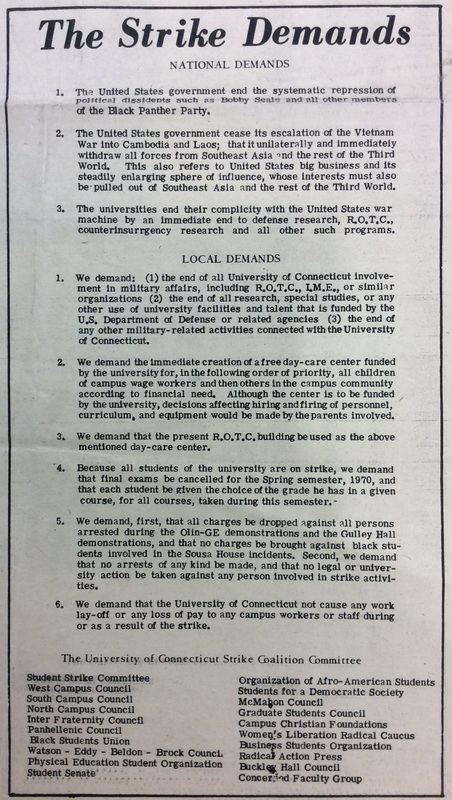 At Central Connecticut State College in New Britain, a meeting of students ended with a vote by half the student body to go on strike. 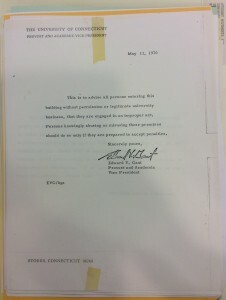 There was unanimity of the students that all attending classes from yesterday on would wear black armbands to protest the president’s decision to send troops into Vietnam. Some students also planned to march to the New Britain office of Congressman Thomas Meskill to show opposition to a statement he has made approving the President’s decision. 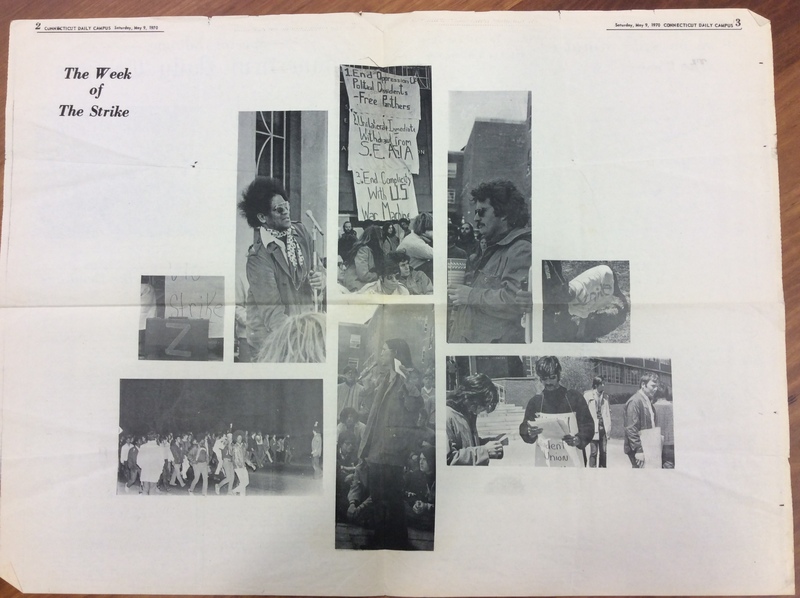 Collections on the War in Vietnam, Student Activism and Kent State Shootings are available for research at the Archives & Special Collections, Thomas J. Dodd Research Center. This entry was posted in General, Uncategorized and tagged Alternative Press Collection, demonstrations, Social justice, Vietnam War by Graham Stinnett. Bookmark the permalink. 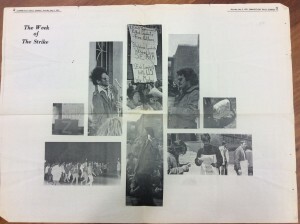 A picture of the 5/11/1970 protest at the ROTC building where students painted the building in an attempt to transform it into a daycare center, appeared in an edition of the Alumni magazine about 10 years ago. I would love to see that photo again if possible.